So you're still on cloud nine after getting engaged. You can't stop staring at that sparkly thing on your finger and thinking about how you get to marry the most perfect man in the world. Then you realize you have to plan a wedding which costs money...a lot of money. If your in the same boat as me and someone else isn't paying for my entire wedding, you'll have to sit down and create a budget. How the heck am I supposed to create a budget if I don't know what anything costs?? Well girl, don't you worry. I got you covered. I had one of my very lovely brides-to-be write down some tips on creating a wedding budget like a boss. Christy and Bob are getting married in June and they are paying for the majority of the wedding on their own. Here is how she did it! In terms of tips for creating a wedding budget, I recommend creating an excel spreadsheet of EVERY detail associated with the wedding! Begin with each category, and list all items from there. From large items like your dress, venue, catering and floral, down to the most miniscule details such as nail appointments, stamps, envelopes, cardstock, vinyl, bridesmaid gifts, chair or linen upgrades, random décor...anything and everything! Especially if you plan to do a lot on your own. Once you have a full list with estimated costs assigned to each, you'll see how quickly these items add up! You can begin tweaking your list based on what's a must have, what can be reduced or removed, etc. Once you have a solid spreadsheet complete, you can keep record of payment due dates, dates paid, who paid, etc. This is extremely helpful in keeping track of how much each of your families have contributed, how much you two are paying on own, and the remaining balance due to vendors. If a loan is needed prior to the wedding, you can determine how much to request based on the remaining balance due. Everyone's budget is going to look different because we all have different needs. Some couples might really want a videographer where others don't think its important. One thing you should never skimp on is your wedding photographer! Your wedding photographer is going to be with you the entire day, capturing every moment. You're going to look back at your wedding photos and relive those feelings from that day. You will cherish your wedding photos for years to come. I hope you enjoyed these tip! 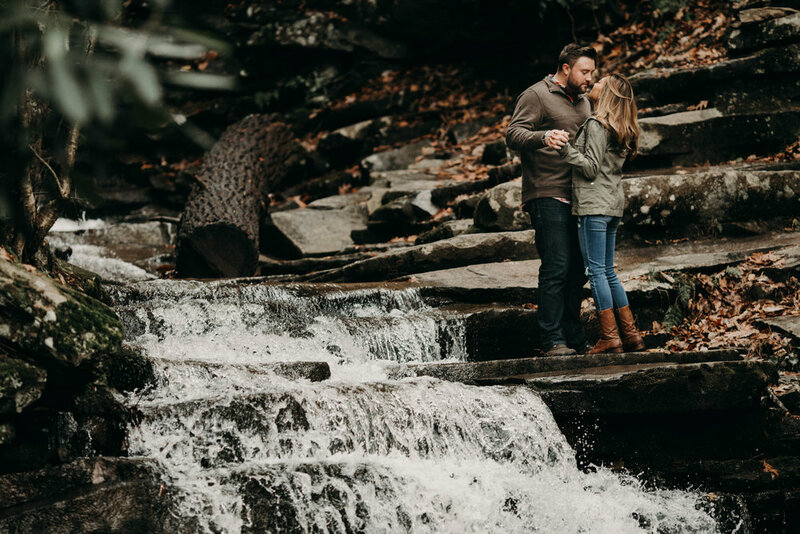 Now enjoy some beautiful photos from Christy + Bob's engagement session.